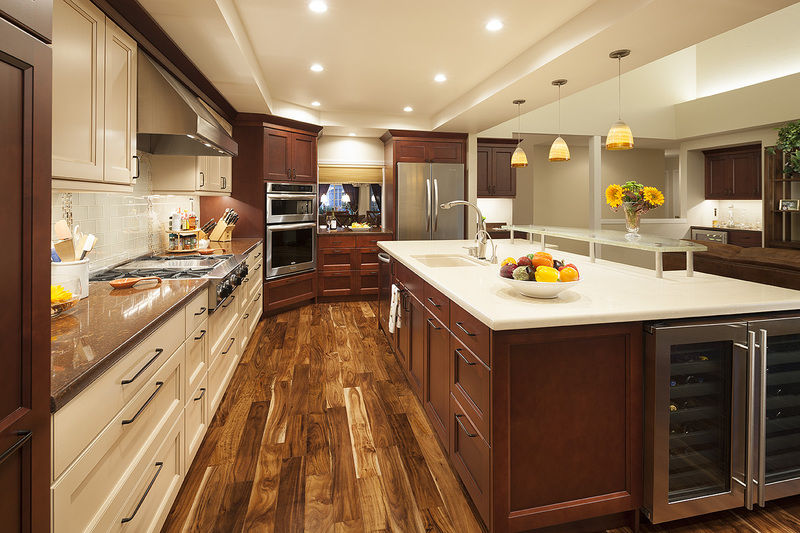 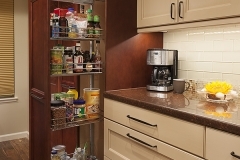 A J-shape kitchen with unusable 54″ high divider counter gave way to an open island plan, enhancing connection of kitchen with family room, guests, and big screen entertainment center. 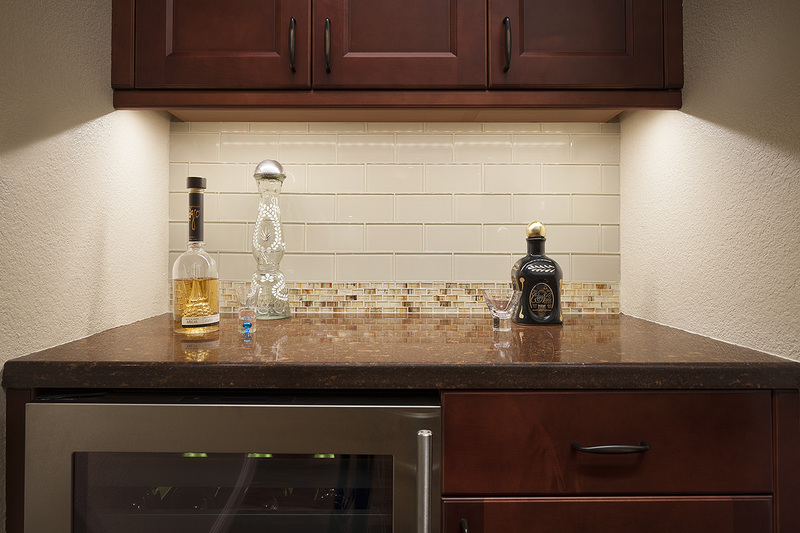 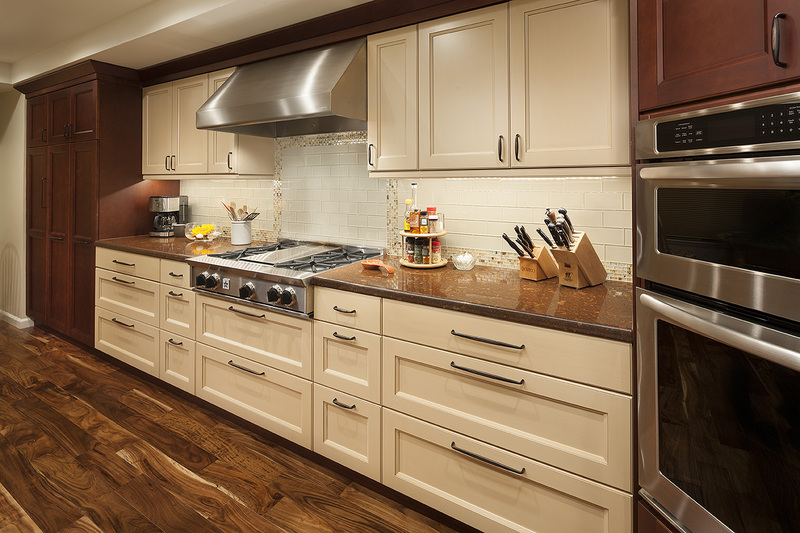 Blue Star range is featured by highlighting the cooking area with contrasting lighter cabinets. 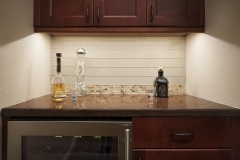 Two undercounted wine keepers were built into both the island and bar for extensive wine collection. 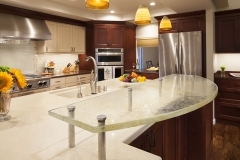 Custom fused glass bar height countertop floats above island inviting guests to connect with chef but not interfere. 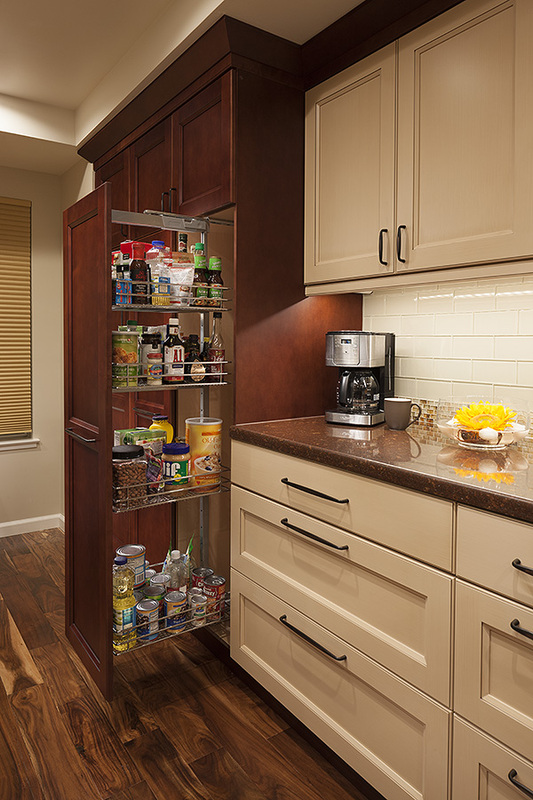 Full pullout out pantries are great space savers.